After three years of patience and anticipation Treyarch have finally revealed the first new zombies map included in Black Ops 3. Set in the Film Noir era (1940's) players will experience a bigger and better zombies mode than ever before in Shadows of Evil. The zombies reveal took place at the Comic Con convention in San Deigo, where Syndicate, a popular YouTuber, and a group of Treyarch designers took to the World Reveal Panel to disclose the first official secrets about the Black Ops 3 survival mode. Everything was revealed behind closed doors, much to the annoyance of the millions of Treyarch fans going hyper round the world. As we wait for more news on zombies mode in the coming months, this trailer provides the most conclusive evidence for the modes direction and setting. 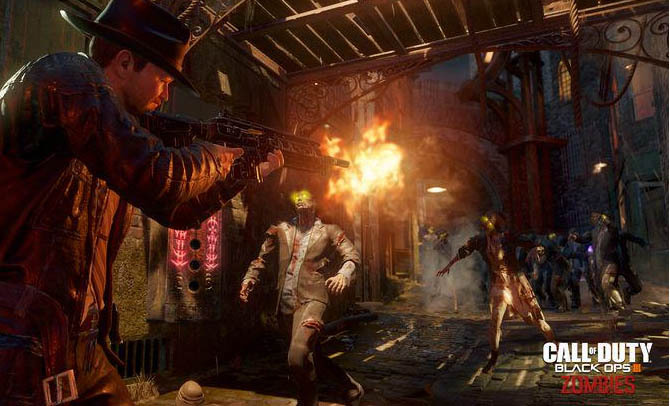 We got to see the new Shadows of Evil zombie map, weapons (possibly Wonder Weapons) and of course the new zombies themselves. The new zombies story takes us in a new direction, to the 1940's, which doesn't fit in with the campaign or multiplayer elements at all. Zombie maps never occur in the same time frame though and we've seen this before with Black Ops 2 that took us from a futuristic US to a far eastern industrial revolution and finally all the way to Europe for the first World War. Not only did we get a world reveal trailer for zombies but we also got to see each of the guest stars coming to Black Ops 3. 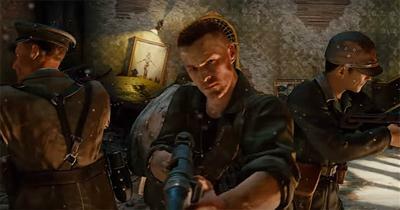 These characters will take on the role of each of the 4 main characters, no different to the likes of Richtofen, Maxis, Takeo and Dempsey from the original Black Ops series. When Treyarch first announced a guest list I was a little disappointed that an all star cast was coming to Black Ops 3. I still had a bad taste from Advanced Warfare but I guess there was always hope that it would be more like Mob of the Dead. Now that the guests have been revealed I've changed my mind and faith is restored!! Of course Treyarch would deliver, who would doubt them right!? Robert Picardo plays "Shadow Man"
Here's the official trailer from the Film Noir themed Black Ops 3 zombies map called Shadows of Evil.